I have been in hiding my entire life. My kind is very powerful and very feared. I am the last. Though if you look at me you would think I was just like you. I have no parents, I have no family, I do not really have a home. My best friend is not even human, she walks on four legs. I live with my protector Nicholas on an Island far away. My name is Emilia, I an ten years old, and I am The Last Dragon Rider. Maryssa Livingsworth was a normal girl up until her 16th birthday, when they chose her to attend a prestigious private school called Werynn Academy. Upon arriving here she learns that it is no ordinary school and the people there are no ordinary people, and neither is she. Mark of a Dragon Rider. (I don't own the pictures used in the cover) Long ago Dragon Riders were viewed as heroes and it was an honor to be among the Rider's rank's. The Rider's and there Dragon's were as fair as they could be. There authority coming second only to the King himself, but all good things must come to an end. Luna is just a poor village girl. She is only 13 years old. She can't wait for her next birthday but she is dreading it at the same time. When you turn 14 a mark could show up on the inside of your wrist. If the mark turns up it means that you are from a dragon rider family. The mark is of a dragon but every family has a different mark of a dragon. The thing is if the mark shows up then they take you away and kill you publicly. There are a few family's of dragon rider's left and Luna is only an adopted child. At least she can fight thanks to her adopted father. Can she escape and find her dragon or will she be caught and killed? Read to find out. Almansi, the country of Dragon Riders. 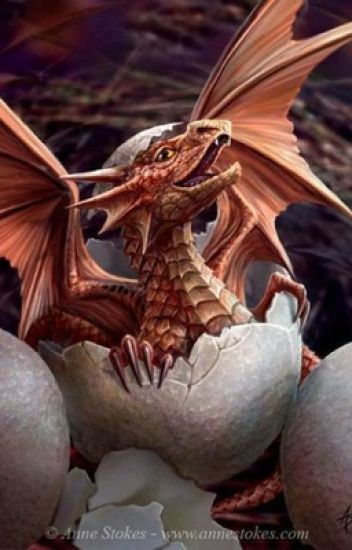 But the thing is, there are only female dragon riders, and they bond to female dragons. So what happens when a young blacksmith finds a strange stone, and when he touches it, end up awakening one of the most ancient breeds of dragon. Fire. He is then enrolled in the school of Dragon Riders. An all female school. Of Royals and Nobility. How is this poor schmuck going to survive. The last few months have been hard on the Riders. After loosing a teammate, then going to an entirely new world, they don't exactly feel at home. They decided to rebuild their original home, Gretum. What is the purpose of Gretum now that everyone has dragons? The thing is, now that everyone has powers, you never know who might go...power hungry. It is a new world now, filled with secrets and more powers then before. This is a new age. When the young elf princess Scarlet stumbles upon a land where dragons are a myth and women do not fight along side men what will happen? Eric, a normal farm boy finds himself lost in his life when a stranger comes to town... She's also the most beautiful creature he has ever seen in his entire life. All people can do is believe the unimagined. and the darkness will no longer slay. Ellie Merany a young girl who is nothing more than a slave to her siblings finds out that she has extraordinary powers. When a great beast is found, also known as the legendary white dragon, many Dragon Riders fight for the bond of this dragon. Yet nobody can achieve their goal. Therefore, nobody expected Dragon Riders to come to Ellie Merany's town looking for new recruits for Zephr academy. This school takes all types of magical creatures such as Mages, fairies, and even trolls. But no one could be prepared for the shocking truth. Ellie Merany is thrown into a world filled with war, death and a prophecy that she doesn't want. Now as a darkness rises and the prophecied girl must fight to win a great battle, she might just want to run away while shes still got the chance. *The First Female Rider will be under revision after this book is finished* Shout out to @vanillabeanwriter for the cover and being a great supporter of all my books. Make sure to request covers. Best covers I have ever used, all covers are edited. P.S I try to update weekly but some times it takes a few weeks to get back in the writing mood. Be prepared. In the land of Archaea, we bring you Makayla. A fourteen year old girl with lots of spirit. She has no mother or father, and her step mother tries, she really does, but Makayla is still different from the other girls. She prefers to hunt, swordplay, race, and other things, rather than being raised to become a house wife. Once a year, three boys are chosen to go to the Dragon Riding Academy. Never once has a girl ever been chosen. But, at the choosing ceremony, only two boys are chosen. The third person is a girl. Makayla. But, what happens when she is chosen by the Dragon of Legend, Storm? She is the worlds greatest hope, against an evil king, Arthur, and his white dragon, Snowstorm. They have ruled Archaea, in a cruel tyranny.